ProMRO is written on the award winning Acumatica Cloud ERP Software which is equipped with CRM (sales and marketing), Financials, Distribution and even Manufacturing if your business has the need. With the unlimited user license model ProMRO with Acumatica ultimately gives more functionality in the areas they need it most. 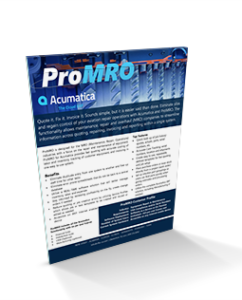 ProMRO with Acumatica is priced by the module so you can choose the software modules that you need now, and add more functionality as you grow. Integrated production planning, material purchasing and shop floor scheduling with customer management, sales orders, inventory, purchasing, and accounting for real-time coordination of multi-plant activities. 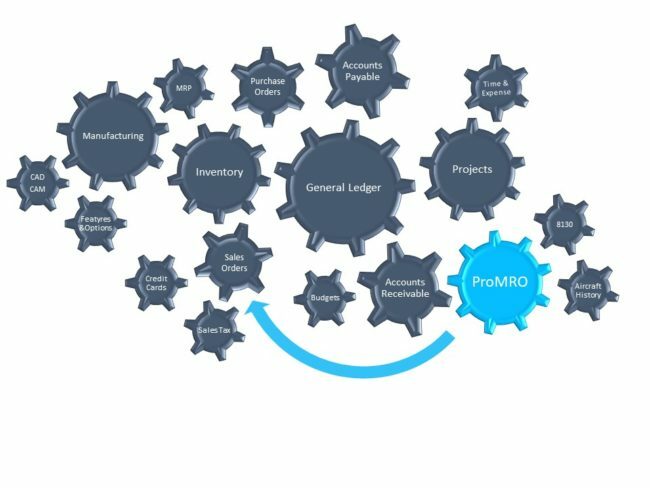 ProMRO with Acumatica enables MROs the flexibility to expand and grow their business with the same business software system. No need for expensive add-on products. As a Gold Certified Partner, we can customize to your requirements. Not a one size fits all.